The Project covers ~4,500 square kilometres of exploration licences 100% owned by Prodigy Gold and is also known as Prodigy Gold’s Barrow Creek Project. Barrow Creek consists of a 200 kilometre long gravity trend with associated metamorphosed sedimentary rocks, dolerite intrusions and large granite intrusions. The region has several known mineral occurrences including gold, copper, nickel, zinc, tin and tantalum. Gladiator Resources have recently completed an IP survey at the Kroda Prospect identifying broad zones of increased chargeability coincident with gold- and arsenic-in-soil surface geochemical anomalism. Drill holes have been planned for testing each of the chargeability anomalies, which range in depth from 100m to 350m below the surface. Gladiator considers the chargeability targets to be highly prospective and has now commenced drill site clearances and logistical planning with drilling expected to commence once all relevant government and heritage clearances have been received. 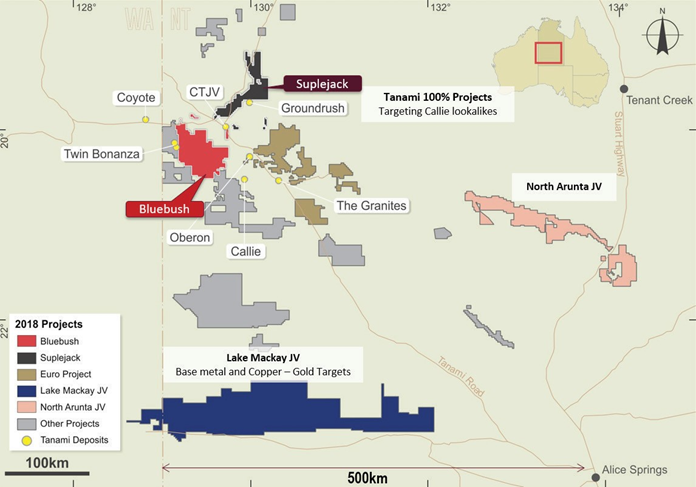 The Kroda gold prospect, which is the most advanced prospect in the Project area, is located on EL29896 18 kilometres west of the Stuart Highway, 30 kilometres north of the town of Barrow Creek and 200 kilometres south of Tennant Creek. Kroda consists of 4 individual prospects (Kroda 1 to 4) with a combined anomalous strike length of 14 kilometres. Kroda is well serviced with infrastructure and is located on pastoral land close to the Stuart Highway, the Ghan Rail Line and the Northern Territory Gas Pipeline. At Kroda 3, high-grade gold is hosted by breccia pipes that are near surface, steeply plunging and are confirmed by drilling to extend beyond 200 metres depth. Significant drill intercepts from Kroda 3 include 57m @ 3.8gt gold and 29m @ 6.4g/t gold. 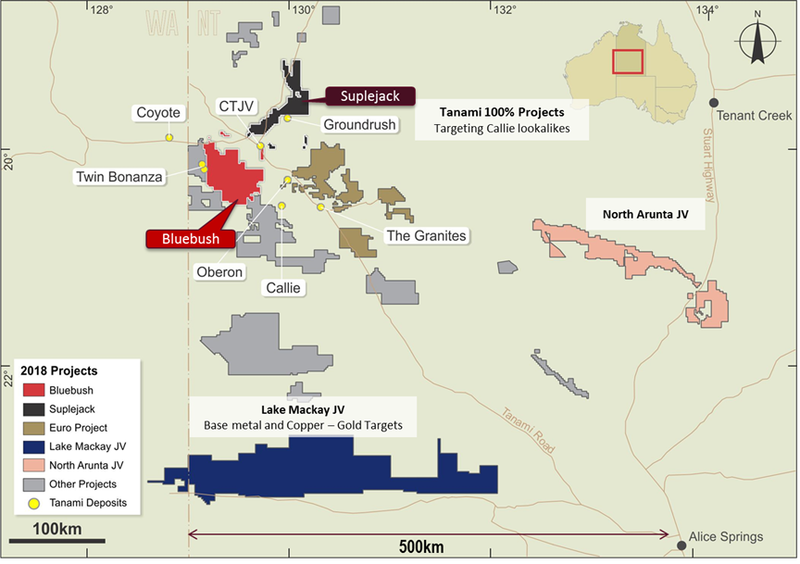 Prodigy Gold entered into a earn-in agreement with Gladiator Resources over its Barrow Creek and Lander River tenements. Under the agreement Gladiator is required to spend $6.5M over 4.5 years to earn a 70% interest in the project.